Hon. Ken Plotz and Joe Epstein, Esq. Settlement is more of a process than an event. Proper preparation for mediation can hopefully lead to the final step in that process. If the lawyer and the client are fully prepared before a mediation session, the process of mediation is much more likely to lead to a full settlement of the issues. This article will provide the lawyer with a basic guide to preparing for mediation so the case will settle with the best possible result and the most satisfaction for the client. Preparation for mediation for the lawyer is, in many respects, like preparing for trial. A thorough knowledge of the law and the facts of the case are absolutely necessary. A good way to have knowledge of the law during a mediation session is to anticipate the jury instructions that would be used at trial. This helps counsel understand the weaknesses and strengths of the case. It is also prudent to anticipate what jury instructions the opposing side would ask for at the conclusion of the evidentiary portion of the trial. What instructions are likely to be unopposed or opposed? What instructions would be easily supported by the facts? Have a clear idea of the causes of action and how they will be presented to a judge and jury. This facilitates the recall of critical elements of a case during the heat of negotiations. Knowing the facts of a case is essential. Lawyers should come into a mediation session knowing the facts that are in dispute and that are not in dispute. This knowledge gives the lawyer the ability to help the client assess risk during the mediation process. Each fact that is reasonably in dispute incrementally increases the client’s risk. Of course, it is not always possible to completely marshal all of this information fully and precisely before mediation. Memories change, communications are often misunderstood, there are issues of credibility, and witnesses can become unavailable. This too must be taken into account when preparing and assessing risk. Lawyers should strongly consider interviewing some witnesses prior to mediation. For example, in a personal injury case, the plaintiff’s attorney should interview a doctor that will help prove the issue of causation. A careful interview of this type of witness can result in a more accurate assessment of the risks of a trial. A lawyer preparing for mediation in a domestic relations case has a different task. First, there will be no jury instructions because there will be no jury. Second, domestic relations cases may vary from allocation of parental responsibility to division of property or debt. Division of property or debt may include business valuation or valuation of a pension. These issues almost always involve expert testimony. Before the mediation, lawyers on both sides need to know who the experts will be and what the experts will say. If a party comes into a mediation not knowing who the experts will be and only asserts what the hoped expert testimony will be, there is little likelihood the case will settle because the opposing side is being asked to settle based on speculation. If both sides wish to settle, expert reports should be exchanged prior to the mediation session so that both sides have full access to information necessary to evaluate the case. In addition to preparing for mediation as if preparing for trial, a lawyer must also give thought to mediation strategy. Often that begins with thinking about the opening offer or the response to an opening offer. This strategy should be discussed with the client before mediation. In a plaintiff’s case that involves money damages, such as a personal injury case, an unreasonably high initial offer may result in an insultingly low response. An opening offer should have an articulable relationship to the damages suffered by a litigant, and it should be backed up by provable facts. That relationship should also be clear enough so that the mediator can express the reasoning in simple terms to the opposing party. On the other hand, defense offers that start out too low often results in recalcitrance on the part of the opposing party to reduce an initial demand. Just like a plaintiff’s offer that starts out too high, this type of offer can slow or end a mediation altogether. Careful thought about initial offers and responses in these types of cases often result in a prompt and fair resolution of the case and an avoidance of the game playing that unnecessarily consumes time and money. An opening offer in a domestic relations case can be different and depends on the type of case. For example, a more collaborative process reasonably calculated to be in the best interests of the child(ren) is called for in the case of a parenting-plan negotiation. Property settlement negotiations involving division of debt or property including pensions and businesses should be planned with the client with the idea that the end result must be equitable to both parties. Preparation should include the drafting of a proposed property settlement agreement. A lawyer who does not do this will find the other side sets the framework for the mediation. Attorneys need to discuss the other party’s perspective with their client. What does the other party want? Why does that party want it? Articulating the other side’s position before the mediation allows both the client and the attorney to be ready with a response. What does the other party really need? Is it just money or is it more of an apology and some understanding? Finally, a discussion with the client about what the other party perceives as risk can be a useful tool. After the preparation work is done and before the mediation process begins, it is important to have a discussion with the client about what actually happens during mediation. With a business client who has been involved in mediation and litigation before, a simple discussion about the best alternative to a non-negotiated agreement (BATNA) may be all that is needed. However, with a client who is going to a mediation session for the first time, there are additional considerations. They need to know who will be there. For example, will an insurance adjustor be there with authority to settle? Will an actuary be there? Will all of the opposing parties be there in person? Will someone call in? Clients need to know the mechanics of the process. They need to know whether they will be in separate rooms from opposing parties. They need to be prepared if they will be asked to discuss the issues face to face at some point. They need to know how to respond to a first offer that seems personally insulting. They need to know the session may take all day or more, and they need to be told to expect hours of down time while the other side prepares an offer or counter-offer. Finally, clients need to be reminded that in mediation there are no outright winners or losers. The settled case may result in less that what the client demanded or expected. The case law in Colorado is clear: in order for a settlement to be enforceable it must be in writing. Come to mediation with some form of written agreement with plenty of blank spaces to fill in with terms and dollar amounts. Lawyers who arrive prepared with a settlement draft avoid a long and uncomfortable wait after the case settles. Successful settlement of a case does not always result in a happy ending. Whether the case is dissolution of marriage (pre or post-decree), a business transaction, a personal injury case, or any other type of case, most people arrive with higher expectations than they leave with. But settlement provides for the opportunity of a creative resolution that would not be available in a trial setting, and it also means an elimination of uncertainty. This value, the elimination of uncertainty, is often overlooked in discussions between attorney and client and should be considered a significant part of the goal coming into mediation. Mediation should be the final step to the settlement process. Good preparation, from knowing the law to anticipating the settlement, is essential in order to reach the best conclusion for the client. HON. KEN PLOTZ – The Honorable Ken Plotz is a former Chief Judge of the 11th Judicial District. He now sits as a Senior Judge sitting throughout Colorado. For the past ten years Ken has served as a mediator, arbiter, and private judge. Ken handles personal injury, commercial, construction and domestic relations matters. 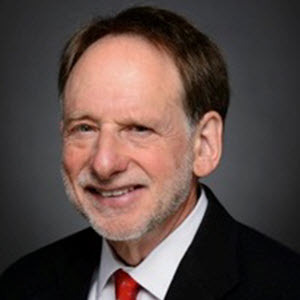 JOE EPSTEIN, ESQ – is an international recognized commercial mediator (International Who’s Who of Commercial Mediators) and recognized nationally as an employment mediator by the National Law Journal. He has published numerous articles and has been recognized by Best Lawyers, Super Lawyers, Colorado Law Week (Mediator of the Year 2011), National Academy of Distinguished Neutrals, and The International Academy of Mediators (Past Vice President). Joe concentrates his practice in the Rocky Mountain/Southwest region of the United States. He focuses his mediation practice on emotionally intense cases which include: catastrophic injury, employment, medical malpractice, nursing home, probate and wrongful death cases. Kenneth M. Plotz is a panelist with AB Conflict Resolution Services in Denver. He is a former chief judge of the Eleventh Judicial District. Plotz has served as a senior judge, private judge, mediator, and arbitrator for the past 10 years.